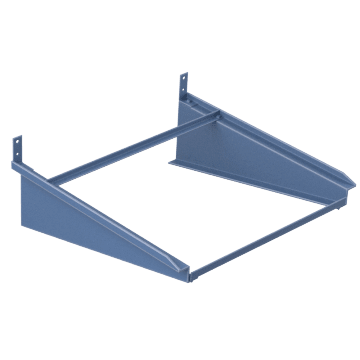 Prevent damage to HVAC equipment by safely securing it to walls or elevating it above the ground with these mounting accessories. 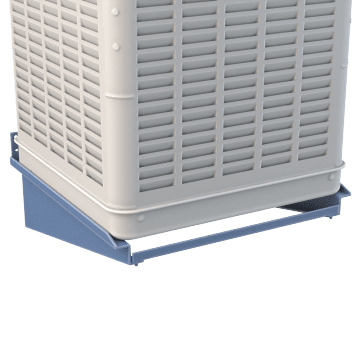 Place one of these pads under an AC condenser, heater, or pump to ensure it remains level and stable, preventing vibrations that can cause damage to the unit. Avoid costly damage from flooding and other wet conditions by securing AC units to a wall above the ground. 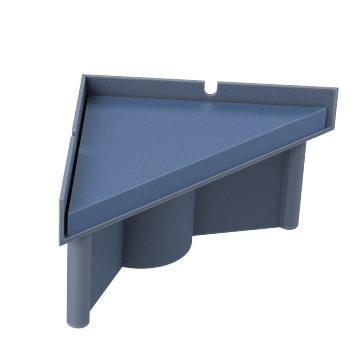 These brackets also allow for AC installation without the need of a level platform or finished grade elevation. Lift your furnace off the ground and away from potentially wet conditions with these easy-to-install blocks. Their strong adhesive top sticks to your equipment for a tight hold. They help keep furnaces dry while reducing operating noise. Don't let a little water on the ground damage your entire HVAC system. 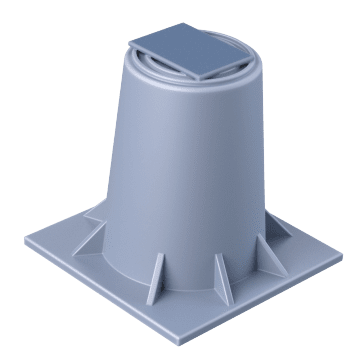 These risers lift condensers, heat pumps, and air handlers off the ground and out of damp conditions while also reducing noise and vibration. 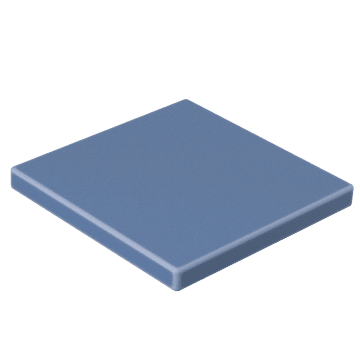 They have a strong sealant on the top and bottom that gives them a tight bond to your equipment and installation surface without needing to drill into your surface.